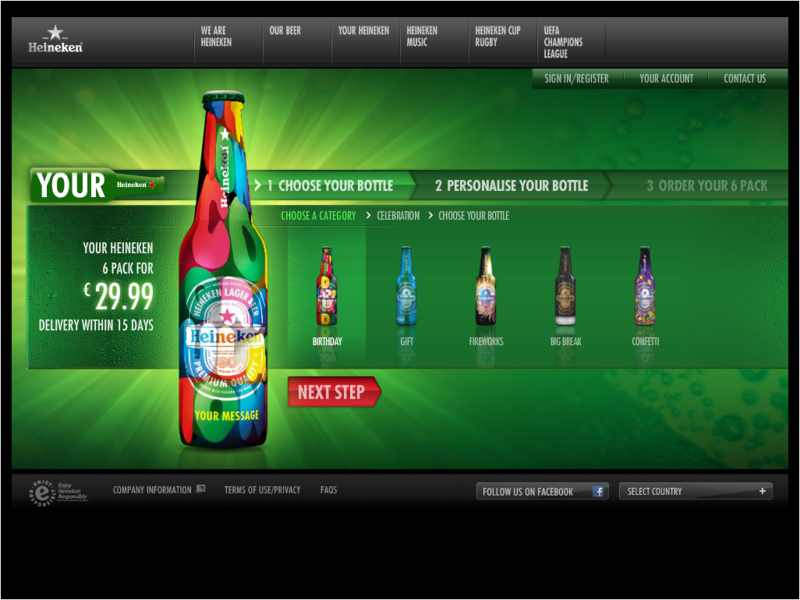 Heineken have created this is a nice feature, enabled by digital media. Simply select a theme (party, sport, triumph, summer, celebration, 'just to say'), add some words, and get 6 personalised bottles for £29.99 within 15 days. It's pretty expensive as beer, but still a really nice thing to offer. On a completely different note, I also love this personalised service by Anya Hindmarch - upload a photo to create your own handbag or washbag.